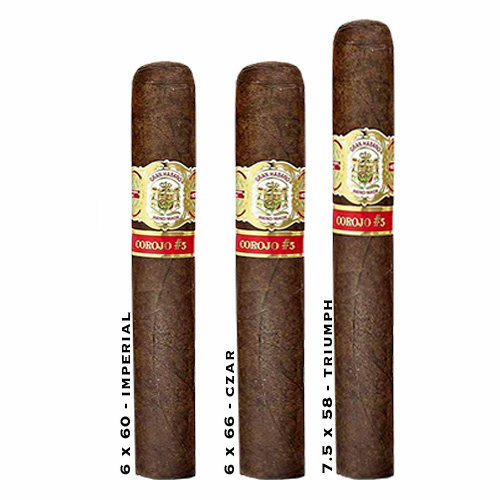 Gran Habano #5 - Buy Premium Cigars Online From 2 Guys Cigars . The Gran Habano #5 features a gorgeous reddish-brown Corojo wrapper grown in Honduras under the watchful eye of the Rico Family. The cigar is rounded out with a Nicraguan binder and a trio of rich filler tobaacco from Mexico, Nicaragua and Costa Rica. The #5 is a cigar that has withstood the test of time and rightfully so as it belongs in your humidor as a daily smoke.